It’s that time of year again when everything starts to taste like a pumpkin and weekends are spent raking leaves. There is a lot of prep work you can do around your house for the fall. 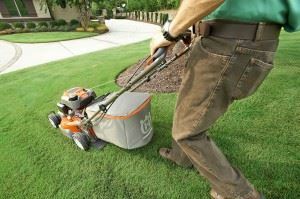 Some of that work will be focused on your yards as it is time to put the garden and grass “to bed” for winter. This is a good time to also clear out any rubbish or debris. You don’t want to create nesting areas for pests or rodents. In addition to all of that debris, you may have discovered over the course of the summer that they are some other things you can get rid of like an old lawnmower, rusty grill or broken patio furniture. All of that rubbish hauling can be handled with one call to Junk King Birmingham. That call you make the Junk King puts a plan into action that will result in your home being transformed into a total junk free zone in no time at all. This is accomplished by the hard-working Junk King crew that will be assigned to your task. The first thing you recognize about the Junk King crew is there redshirts. Next, you’ll notice what a friendly attitude they have. This is a team that is eager to help you clear out all kinds of unwanted clutter from your yard and home. They know what a difference this can make in the sooner they get that done quicker you’ll be able to get back to your day. Loading of an old lawnmower and other yard debris could be dirty work but the crews aren’t afraid to get their hands a little bit grimy. Thankfully, you won’t have to get dirty or put your back at risk. The only effort you’ll exert will be lifting a finger to point to the things you want taken away. Doesn’t that sound easy? As for pricing, Junk King Birmingham never charge you by the pound. That a make a huge difference especially when you clearing out things around the yard like bricks, lumber, pavers or chunks of concrete. All your stuff is going to be packed on the truck in as little space as possible. That will mean you’re paying the low end of the price scale. You’ll know what that estimate is before the work begins. It’s also prices can be locked down. There will be no surprise charges at the end of the job. Best approach to getting rid of an old lawnmower and rubbish is to turn the job over to Junk King Birmingham today. This entry was posted in Birmingham Junk Removal and tagged Junk King, junk removal, lawnmower on September 30, 2017 by Junk King. Last updated October 1, 2017 .